The future of Game of Thrones’ Sand Snakes was more-or-less on the wall with their minimal Season 6 presence, but Season 7 has dealt some notably harsher fates to the Dornish warriors. Now, following the brutal “Queen’s Justice” punishment, one star says even the surviving characters may never be revisited. You’re warned of full spoilers for this past Sunday’s Game of Thrones from here on out, but where “Stormborn” already dwindled the Sand Snakes’ numbers killing off Obara (Keisha Castle-Hughes) and Nymeria (Iron Fist star Jessica Henwick), “The Queen’s Justice” added a third casualty to the ranks. 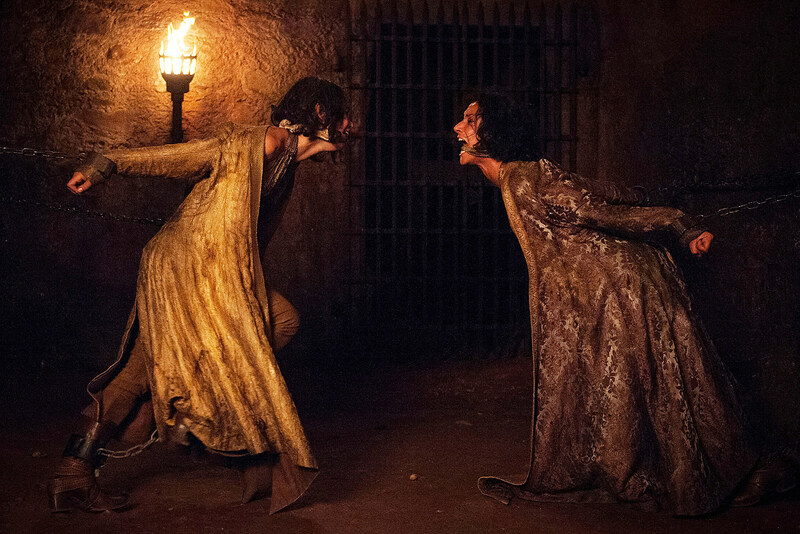 Cersei returned the favor of Ellaria (Indira Varma) giving a poison kiss to Myrcella, subsequently leaving Ellaria to watch her daughter Tyene (Rosabell Laurenti Sellers) die, and rot in the years to come. [Showrunners David Benioff and Dan Weiss] called me, but I kind of knew already. Obviously there’s lots of trimming going on. It’s all coming to a head and you have to get rid of less important characters that the audience hasn’t had the chance to invest in as much. So I was expecting it. I wasn’t heartbroken. And I was like, ‘As long as I die on screen…’ and they were like ‘Yeah!’ But of course I don’t die on screen. I stay alive, I’m just not going to reappear. I think it’s really clever. Understandably, any and all need for the Sand family has since dried up, but it’s perhaps telling that the status quo at King’s Landing stays in place to keep Ellaria and Tyene locked away. On the other hand, should a different power invade or take over King’s Landing, one would expect at least offhand reference to Ellaria’s final fate. Game of Thrones is likely done with Dorne altogether if there’s no hope of seeing Ellaria again, but do the Sand Snakes deserve closure?